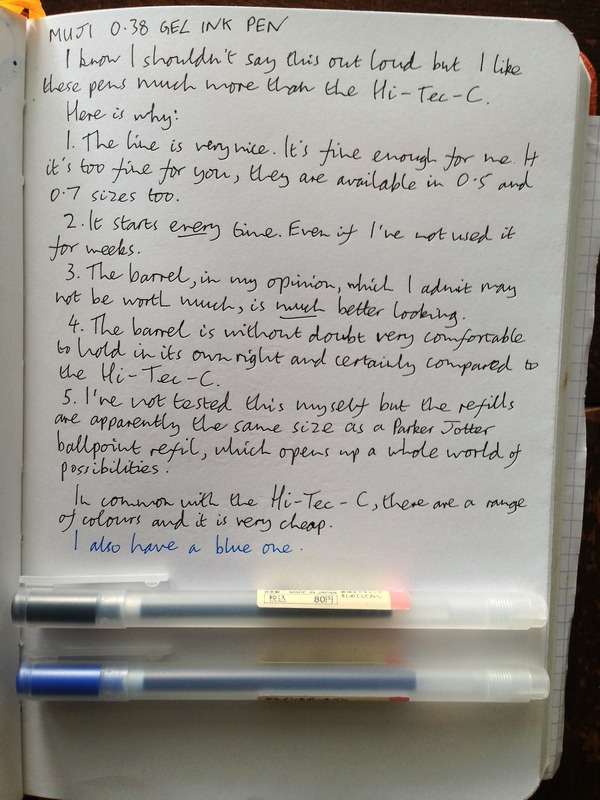 MUJI 0.38 Gel Ink Pen review – Pens! Paper! Pencils! 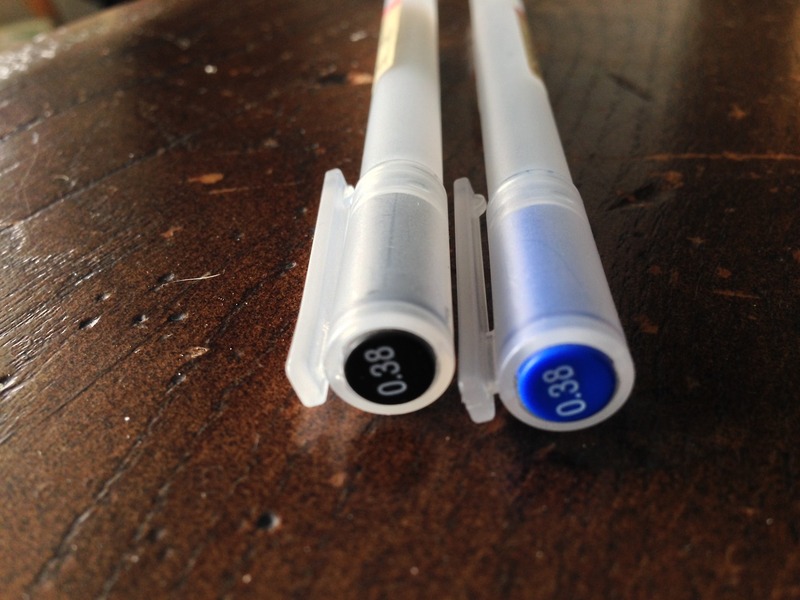 I bought these pens quite some time ago, tried them, decided they were very nice and then didn’t pick them up again for a very long time. When I did, they worked immediately and I realised just how good they were. They write a good crisp fine line every single time. I like how they look and the plastic they’re made from is of some kind of soft and warm kind which makes them comfortable to hold. Comfortable in the way the Hi-Tec-C exactly isn’t. 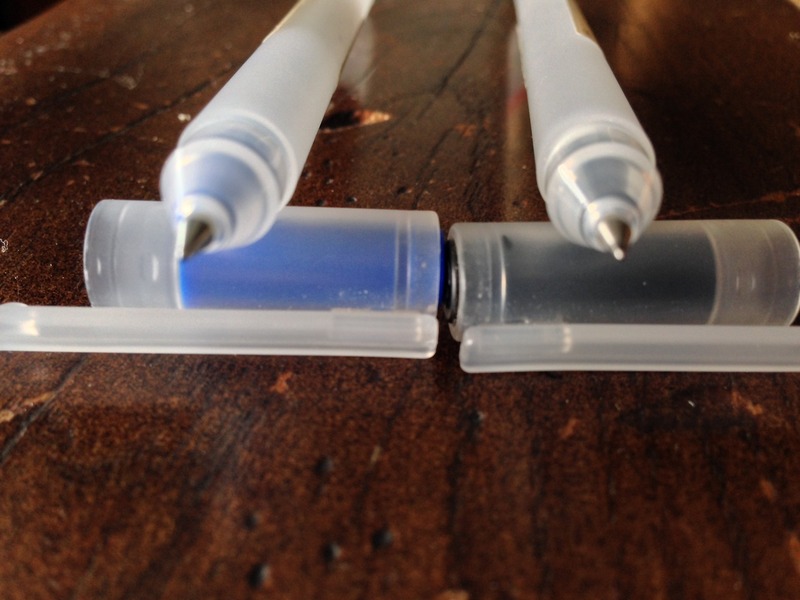 The Muji Gel Ink Pen comes in a variety of colours and they are refillable. They are cheap and they are wonderful and they deserve wider recognition.